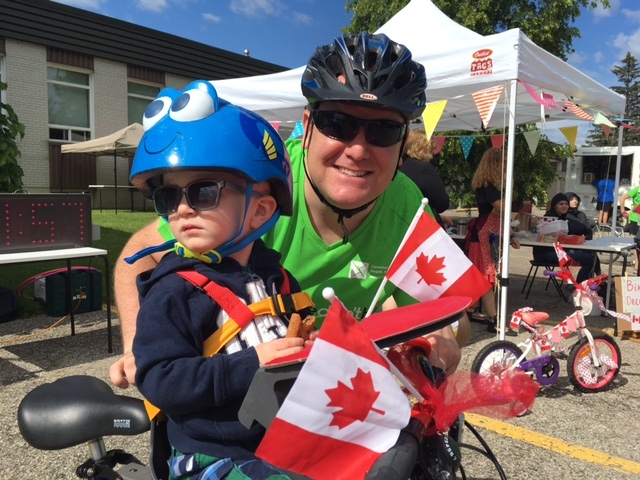 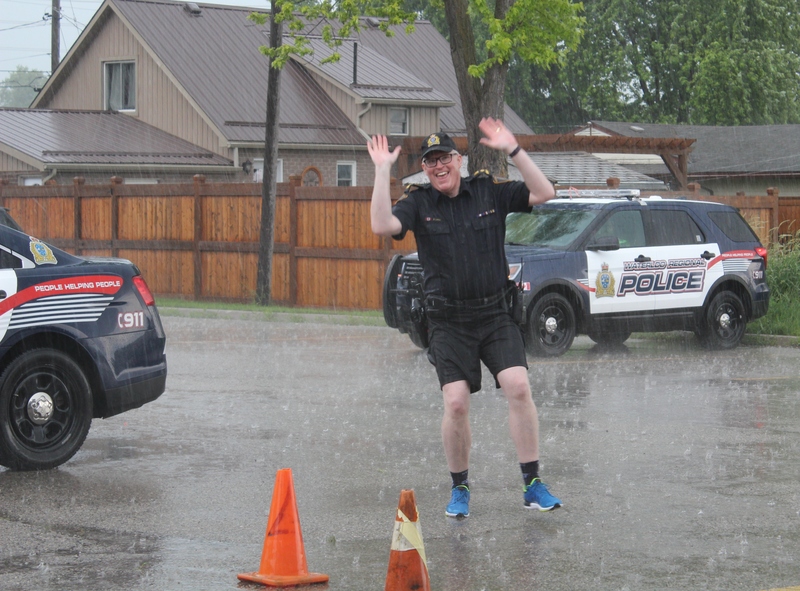 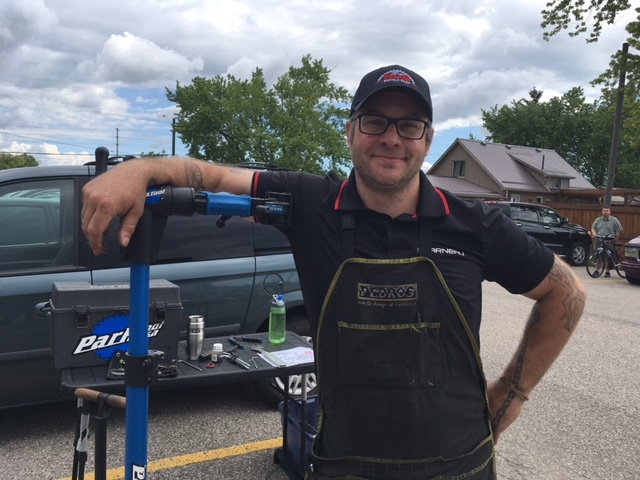 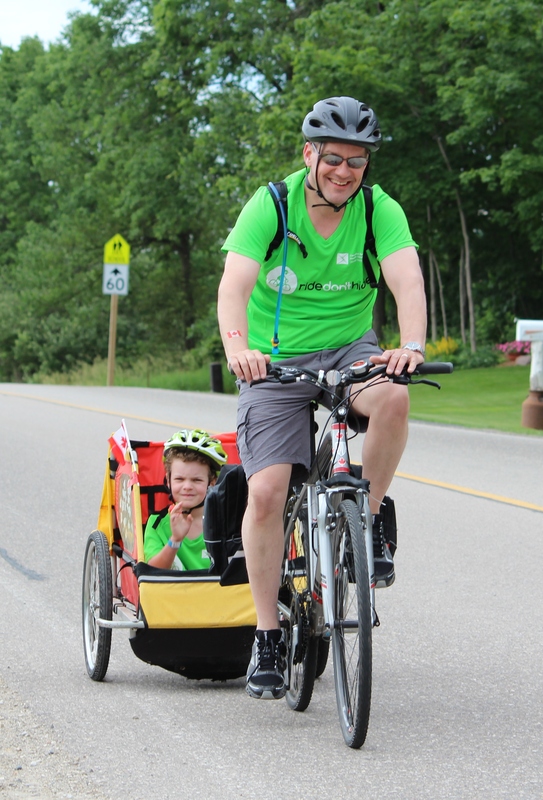 Rainclouds and hailstorms couldn’t dampen the mood at CMHA Waterloo Wellington’s second annual Ride Don’t Hide, a community bike ride raising mental health awareness and funds for mental health services. 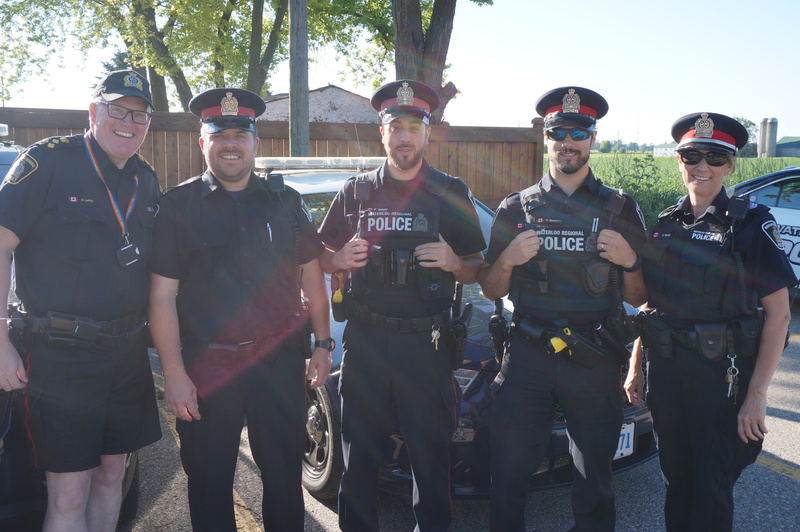 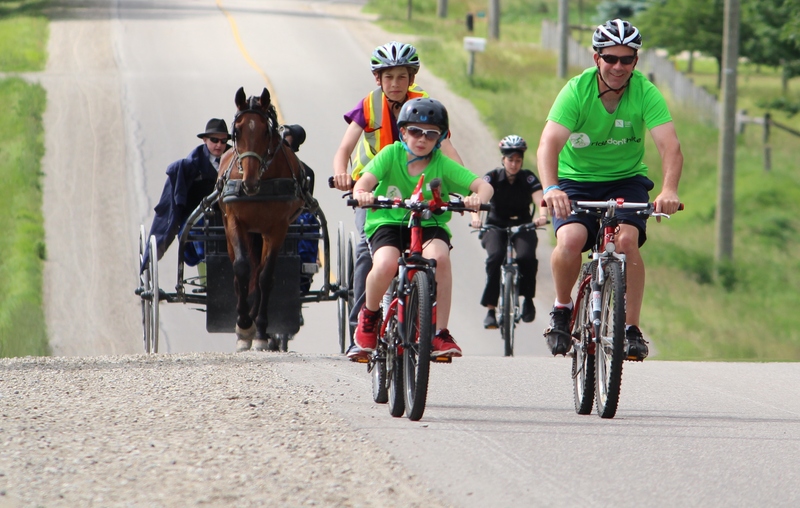 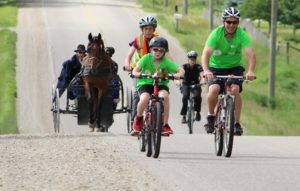 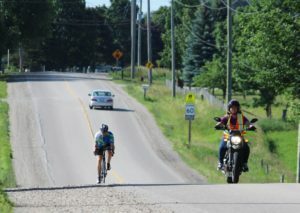 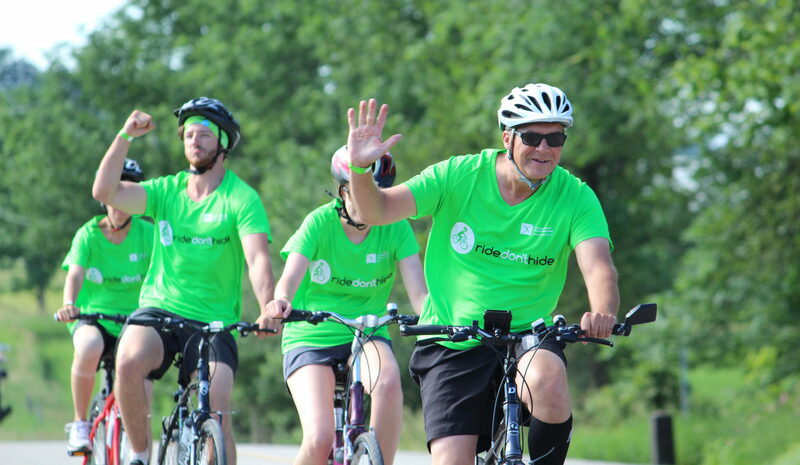 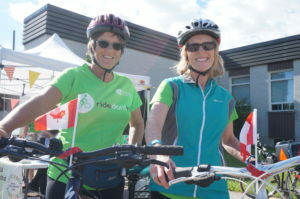 Over 150 riders gathered on Sunday, June 25th in St. Jacobs – some driving for as long as three hours to attend – raising over $40,000 for local mental health initiatives. 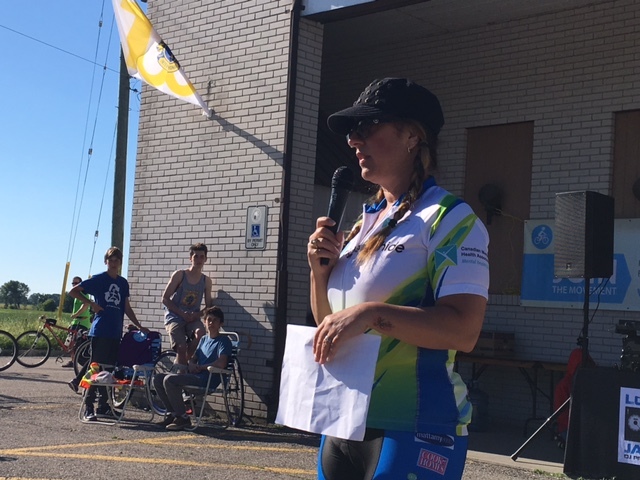 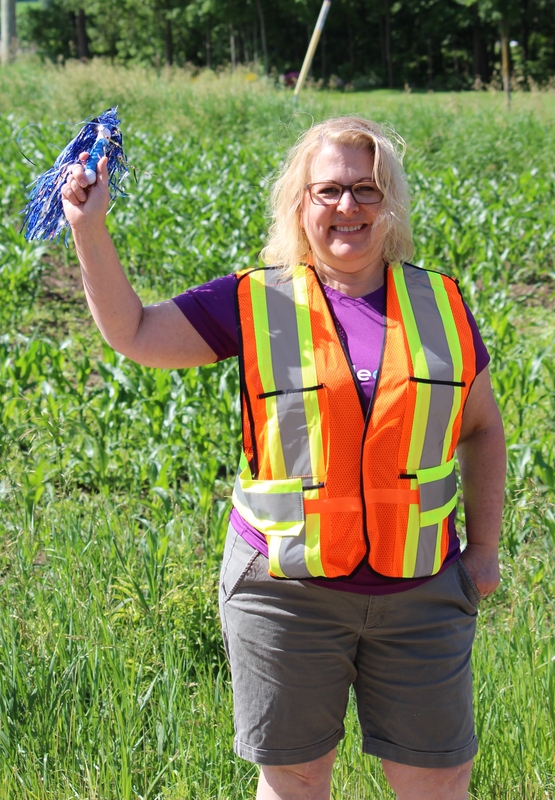 “Thanks to all our riders, volunteers, staff, donors, and sponsors who made CMHA WW’s second annual Ride a success,” said Janet Kaufman, Board President of CMHA WW. 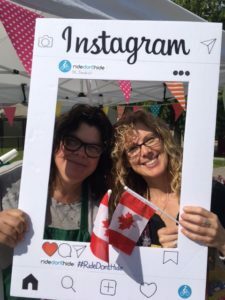 “It’s such a wonderful thing to see so many people out on a Sunday morning putting mental health at the forefront – people who are taking the reins and becoming leaders in the community when it comes to breaking down stigma around mental illness,” said Fred Wagner, Executive Director of CMHA WW. Riders were greeted to sunny skies in the early morning as they were treated to free bike tune-ups, Canada-themed tattoos and bike decorations, and good music. 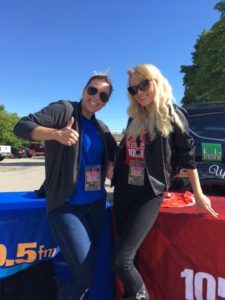 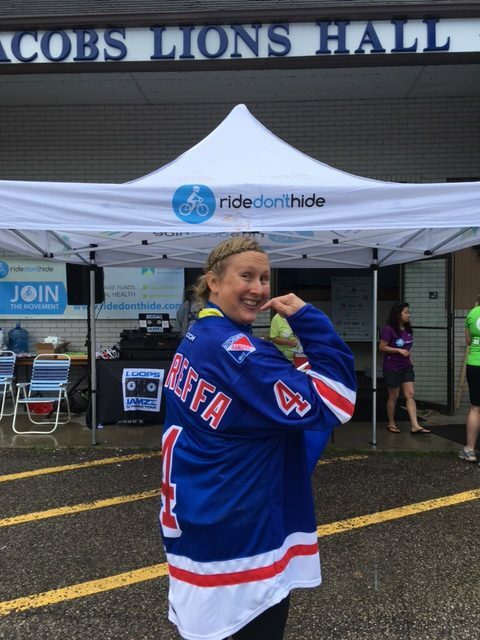 The Kitchener Rangers’ mascot, Tex, was on hand to cheer on riders as they set off, and KFUN’s morning host, Angie Hill, kept the crowd in good spirits as emcee throughout the morning. CMHA WW’s Ride Don’t Hide was one of 30 Rides taking place across the country, from Newfoundland to British Columbia, raising over $1.5 million Canada-wide for mental health initiatives. 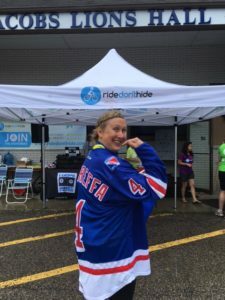 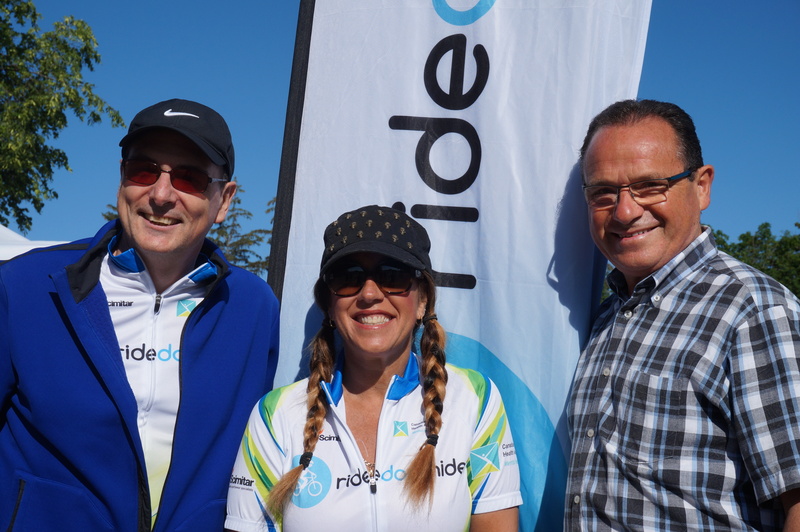 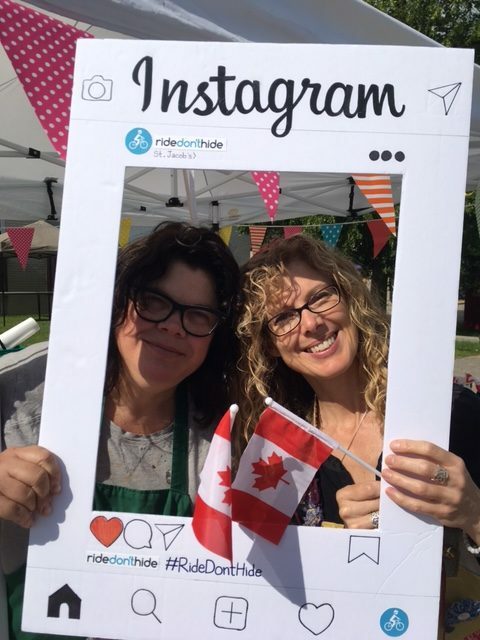 Ride Don’t Hide ambassadors including Olympians Gillian Carleton, Anastasia Bucsis, and Noelle Montcalm, ex-NHL player Curtis Sanford, and actors Andy Jones and Mary-Lynn Bernard championed their local rides – many bringing their own personal mental health story to the event. 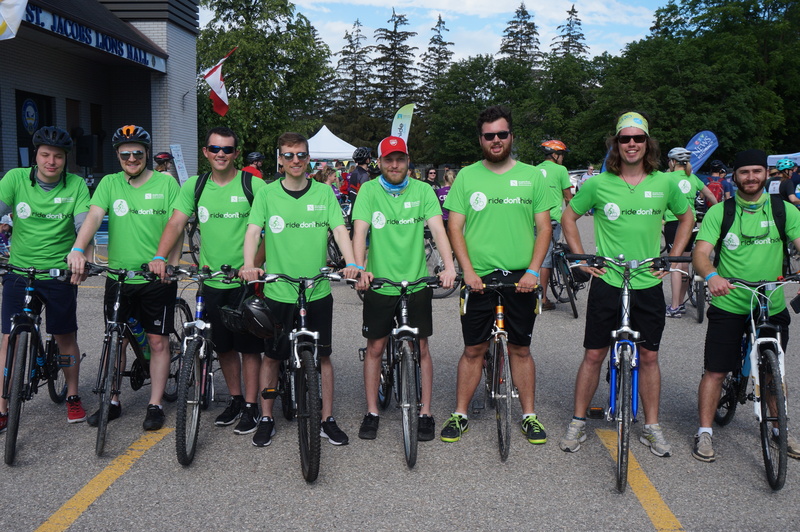 All funds raised through the events go toward CMHA’s mental health programs within the local communities. There’s still plenty of time to contribute to the cause and help Ride Don’t Hide reach its national target with online donations being accepted until July 31 at www.ridedonthide.com/on/ride/waterloo-wellington.